Ko tēnei te tino o ngā pūrākau hī ika katoa! 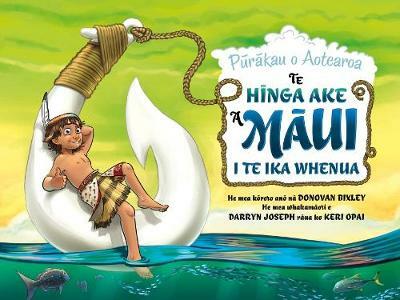 Lush, vibrant and full of contemporary humour, this retelling of the tradition Maui legend stays true to the story while, at the same time, infusing it with a sense of fun that makes it appealing to a wide age group. Beautiful illustrations which bring their own level of humour to the book.